Surya’s upcoming film 24 is slated to release on May 24th, directed by Vikram K Kumar and produced by Suriya himself under his 2D Entertainment banner. Samantha and Nithya Menon play the female lead. 24 is based on the concept of time travel. The teaser trailer has already managed to generate curiosity, actor Suriya, who is also one of the co-producers of the film, is confident that 24 will win over both audiences and critics. While reports claimed that the film would be dubbed in Hindi, it has now emerged that the actor doesn't want a dubbed version but wants to remake the film in Hindi with a top Bollywood actor in the lead. It is now heard that Surya is planning to remake the film in Hindi and is planning to approach either Salman Khan or Hrithik Roshan to play the lead, as he seems to be extremely confident about the final output of the film. He is waiting for the final cut of the film, so he can show it to both, Salman and Hrithik. If this project goes as planned, this will be the first Hindi film Suriya is producing, his will be the first Hindi film that a Tamil superstar actor is producing and finally, first Hindi film of both Salman and Hrithik that will produced by another actor. All in all, 24 will be making a lot of records. 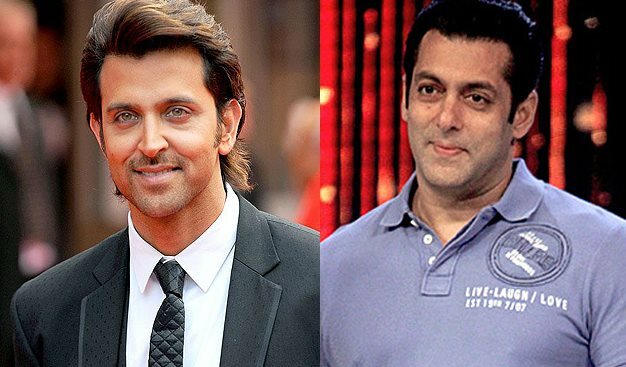 Salman is currently busy with Sultan shooting and Hrithik is wrapping up Mohenjo Daro, wonder who will given green signal to Suriya's Hindi project.